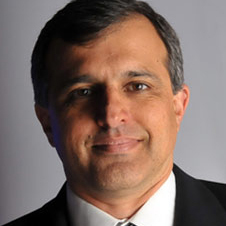 Ricardo Esturaro is Chief Marketing Officer at the TV Globo. Globo is a Brazilian free-to-air television network. Globo is the largest commercial TV network in South America and the second-largest commercial TV network in annual revenue worldwide just behind the American ABC Television Network. Ricardo has a bachelor and graduate degree in Business Administration on Fundação Getúlio Vargas - São Paulo. Master of Business Administration (MBA) on Thunderbird - USA and 27 years of professional experience in the entertainment industry; Emphasis on Marketing, Business Development and International Business. He has been in Executive positions in several companies, such as TV Globo, DirecTV and Banco Itaú.